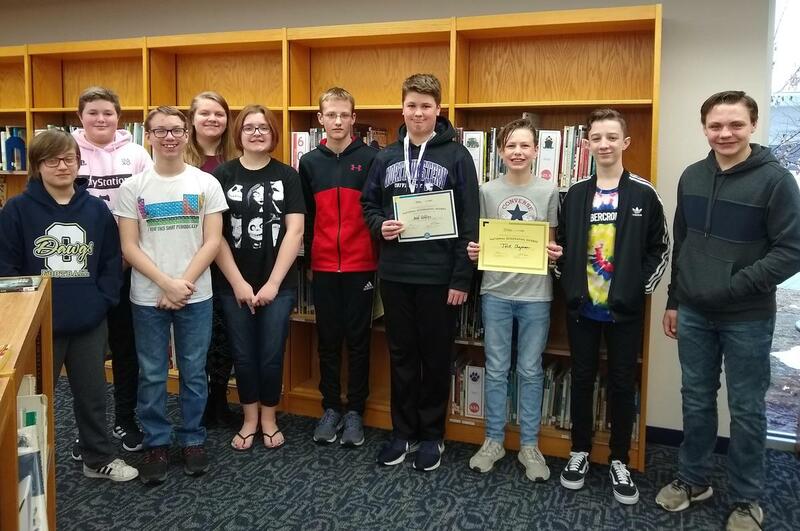 Top ten compete in the first-ever OMS Geography Bee Championship, vying for a spot to compete in the national contest. 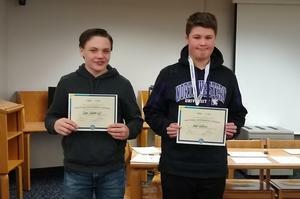 For the first time, Otsego Middle School held a Geography Bee, a national contest that starts at the local level. After three final rounds, the top ten was down to just one. Jacob Robbins, 8th grade, emerged as the school's winner. Tyler VanderLugt, 8th grade, came in second. The school-level competition is the first round in the annual National Geographic GeoBee, a geography competition designed to inspire and reward students' curiosity about the world. Questions cover not only geography, but also cultures, physical features, history and earth science. Try it out! Take this sample quiz and see how you do! As the school champion, Robbins will take an online qualifying test. Up to 100 of the top test scorers in each state then become eligible to compete in their State GeoBee. Those winners, receive an all-expenses-paid trip to the national championship in May. The school contest began with all 550 students taking an online quiz. The ten top scorers then competed for the championship. Congrats to all of them! The top ten included: Luke Aldrich, Jack Chapman, Patrick Cross, Ryan Droski, Beau Gerst, Tommy Houseman, Alicyn Klok, Morgan Lash, Jacob Robbins, Tyler VanderLugt.